Angela was born in Altrincham, Cheshire, England and moved to Los Angeles, California with her family when she was 3 years old. She started as a child fashion model and by the time she was four, Angela was well known by the top photographers and appeared on magazine covers and in many advertisements. At age 3 1/2 she made her movie debut in "Somebody Up There Likes Me" as Paul Newman's daughter. Another part followed in "Something of Value" with Rock Hudson and Sidney Poitier. Angela was signed by Danny Thomas when she was 4 to play his daughter "Linda Williams" on his TV series "Make Room for Daddy". 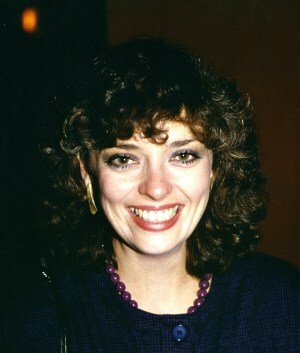 The series ran for 7 years, during which Angela found time to star in "Lad:A Dog" co-starring with Carroll O'Conner. She also hosted two Dinah Shore Show Specials "Children Are People" and "Ghosts, Goblins and Kids". In 1965, following the end of the "Danny Thomas Show" Angela was cast as "Brigitta Von Trapp" in the movie version of "The Sound of Music" with Julie Andrews and Christopher Plummer. Soon after, she returned to television as "Penny Robinson" in Irwin Allen's "Lost In Space". This now-classic series ran for 3 years. In the years that followed Angela guest starred in various television shows and commercials also recreating her role as "Linda" in a revival of "The Danny Thomas Show" called "Make Room for Granddaddy". She worked for Irwin Allen once again in the movie, "Beyond the Poseidon Adventure", starring Michael Caine, Sally Field and Mark Harmon. Most recently she returns to the big screen in "Lost In Space" the movie. While continuing to pursue her acting career, Angela married in 1976 and has managed to raise two children. She has also to her credit a nationally acclaimed book "My Book: A Child's First Journal." In 1977 Angela opened "Rubber Boots" a gift boutique in Toluca Lake, California. More recently she has been selling her work at her online store. She also has been a successful children's portrait photographer for over 28 years and pursues her love of art.